If we want KCPS schools to be able to compete in an increasingly crowded schools landscape, KCPS administrators and board members need to be aware of what their charter sector counterparts are offering – and how they’re able to offer it. 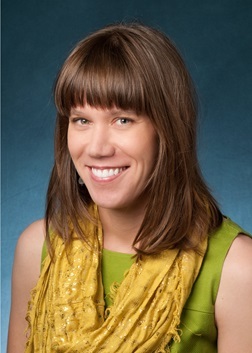 Rebecca Haessig is former director of education initiatives at the Kauffman Foundation. Prior to that she developed strategy and change initiatives for a consulting firm in Washington, D.C. She began her career in international development, leading programs to strengthen civic organizations in the Middle East and North Africa. She received her BA from the University of Virginia and an MA in public policy from Harvard’s Kennedy School of Government. She is the mother of a pre-school son and a charter school student in Kansas City, Missouri. Rebecca does not represent Do the Right Thing for Kids, but we respect the rigorous, fact oriented basis of her writing and recommend her ideas for our followers’ consideration. Her op-ed piece “Kansas City district should decentralize and set the schools free” appeared in the January 19, 2016 issue of the Kansas City Star. We present here her first three blogs on her Set the Schools Free site. Go to the site to receive future blogs. Four new charter elementary schools will open within KCPS boundaries for the 2016-2017 school year: Citizens of the World-Kansas City, Kansas City Neighborhood Academy, KIPP Endeavor, and Quality Hill Academy. You could argue that four schools serving the same grades and opening in the same year isn’t the most efficient use of public resources. I’d agree with you. Nonetheless, this cohort of new schools has the potential to be a game-changer in the evolution of our public schools sector – especially in our kindergarten marketplace. The addition of up to 260 new kindergarten seats in one year (there are ~2500 total enrolled K students in our district, both KCPS and charter) changes the enrollment landscape pretty significantly, accelerating us toward the kindergarten tipping point – the point where charter school enrollment, for the first time, exceeds KCPS enrollment. But the biggest reason these schools may be game-changing relates to their kindergarten classrooms, and how they’re organized to support student achievement. Because kindergarten is a really, really important year for learning how to learn. To paraphrase one researcher, it’s the year when you learn how to be a student, and a classmate, and how to cooperate with others. It’s where the foundation is laid for a successful K-12 experience. (For summary research, see here, here and here). And as a cohort, these new schools are raising the bar for kindergarten with the classroom investments they’re making: three of the four schools opening this fall will have kindergarten classrooms staffed by two full-time teachers – a lead teacher and a support teacher – in classrooms of 24 or fewer children. This staffing level is significant because the research is pretty compelling that smaller class sizes in the earliest grades can increase student achievement – especially in kindergarten. Academic gains from smaller classes come from the increased individual attention, reduced distractions, and stronger and more positive relationships that result from smaller classes. These gains are largest for minority students, economically disadvantaged students, and boys. In other words, the children who make up the majority of public school students within our district boundaries. 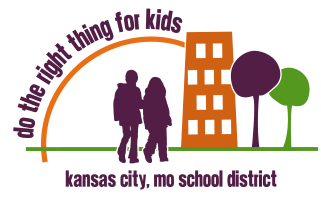 Which brings us back to KCPS, currently the largest operator of public schools in our school district. The new KCPS Master Plan reduces class size to 22 for all Kindergarten through 2nd grade KCPS classrooms. This decision is really important and, based on discussions at a recent school board meeting, represents a significant reduction in class size for some schools – evidently there are some KCPS classrooms in the early grades with as many as 29 or 30 students. But in the same year that KCPS is reducing kindergarten class size to 22 students, there are three new public charter schools opening with kindergarten classrooms of approximately the same size – and with double the staffing per class. This benchmark comparison creates the appearance that KCPS either isn’t able, or willing, to keep up. More than anything, though, it feels like KCPS is operating in a bubble. If we want KCPS schools to be able to compete in an increasingly crowded schools landscape, KCPS administrators and board members need to be aware of what their charter sector counterparts are offering – and how they’re able to offer it. This awareness would go a long way toward ensuring that KCPS is competitive where, ultimately, it matters most – in the classroom, where learning happens.